In the Budget 2012, the government confirmed that plastics packaging recycling targets are set to rise from 24% at present to 42% in 2017 (see letsrecycle.com story). The targets have to be met by obligated packaging producers under the packaging regulations. As smaller companies are not obligated, larger companies currently have a 32% target whcih wil rise to 57% by 2017. In a speech today at an event in Peterborough held by Recoup – a charity which specialises in plastics recycling – Lord Taylor will highlight plastic bottles as an area where real progress could be easily be achieved towards meeting the target. In 2011 around 240,000 tonnes of plastic bottles were sent to landfill from households with access to a kerbside plastic bottle recycling collection. This is nearly half of all bottles used. This material has an estimated value of up to £91million and can easily be recycled and reused for new packaging. Lord Taylor will say: “We’ve set ourselves an ambitious target to increase plastic recycling to stop the shameful dumping of reusable plastic into landfill sites. 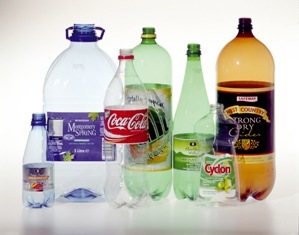 The Department for Environment, Food and Rural Affairs (Defra) is now working with Recoup, industry and the government’s Advisory Committee on Packaging to explore the possibility a responsibility deal to help raise awareness amongst households and businesses of the simple steps they can take to help increase plastic bottle recycling. Currently 90% of local authorities offer a kerbside recycling collection for plastic bottles, making it easy for most people to stop the bottles they use going to landfill. The deal could use similar models that have worked for other materials as examples of what can be done – such as the successful ‘Metal Matters’ campaign funded by metal packaging producers and recyclers and which has helped to increase recycling of drinks cans by 21% through leafleting households in a selection of council areas. Lord Taylor’s comments come after plastics recyclers warned that the higher plastic packaging targets will cost industry £70 million over five years and are unachievable – with particular concerns over lack of infrastructure for collecting and recycling non-bottle plastics (see letsrecycle.com story).